Last year’s inaugural PodCamp Boston was a wildly successful experiment in un-conferencing, a self-organizing kind of convention in which the participants themselves set the agenda and lead the breakout sessions. Not knowing whether to expect any attendees from outside Massachusetts, PodCamp co-founders Christopher Penn and Chris Brogan (and their friends and co-organizers) were happily surprised when over three hundred people turned up for the event. Flash forward to this year. 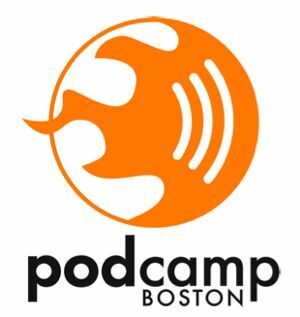 Registrations for this year’s PodCamp, which kicks off Friday evening in Boston, have surpassed 1,200. One of last year’s attendees, Jeff Pulver, the organizer of next week’s VON (video on the net) Boston, has sponsored conference space at the Boston Convention and Exhibition Center. Even with scores of PodCamp veterans returning for this year’s event, more than half this year’s attendees are newcomers to podcasting, and to new media. PodcastingNews caught up with PodCamp Boston co-founder Christopher Penn, creator of the Financial Aid Podcast (among several other podcast projects), on Thursday afternoon. In this podcast, he talks about the beginnings of PodCamp, gives a preview of this year’s gathering, and talks about how podcasting and new media help us discover our superhero powers (really! ).